Service is very important for any industry, especially for racking & shelving industry. Most of customers of just have a rough idea about what kind of storage system they need. Just a rough idea, we can work out the solution for customer, together with layout drawing and solid drawing. This can help customer understand the design easily. 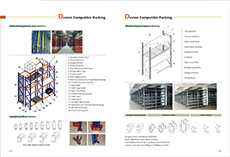 Cooperation with T Racking is simple and easy.